norelem Normelemente KG now offers new, high-quality magnetic clamping balls as an exceptionally fast and flexible solution for securing components in die and mold making. Technical standards play an important part in all our lives, but most of the time we’re completely unaware of them. Were it not for the agreement, formulation, publication and application of rules, guidelines and features - usually the job of official organizations and their standards bodies - a lot of things wouldn't work nearly as well as they do. Indeed, some wouldn't work at all. When it comes to technology and engineering, standards and standard parts are absolutely essential. norelem Normelemente KG has made the most of that situation, virtually turning it into a business model in its own right - to great success. Each year, the company's catalog - known as THE BIG GREEN BOOK - offers engineers and technicians a comprehensive and neatly organized range of high-quality standard-compliant parts. 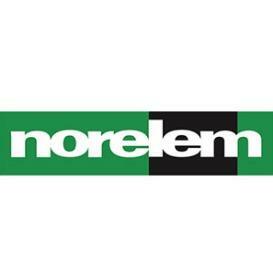 However, norelem also has an eye for solutions that are anything but standard - its recently launched magnetic clamping balls being a perfect example. The new, high-quality magnetic clamping balls can be used to position workpieces anywhere on a large surface and fix them in place. The balls can be secured and released in next to no time and are already proving their worth in die and mold making, for jobs such as polishing, assembly and laser welding. norelem offers the new magnetic clamping balls in four different sizes with magnetic faces in diameters of 80 to 160 millimeters. The swivel angle on the balls can be set at up to 90 degrees, depending on the shape and weight of the workpiece in question, so that parts can be maneuvered into the optimum machining position. A permanent magnet with a nominal magnetic force of up to 100 Newtons per square centimeter applies the clamping force and is actuated using a hex key. Turning the key 120 degrees applies the full magnetic force, although the magnet can be partially deactivated to give users flexibility for positioning their workpiece.